The center also provides its visitors with moon observation tours free of charge, as well as live performances and international art exhibitions. Sadovaya-Kudrinskaya 5 Entrance prices start at 450 rubles. The venue of the park behind Red Square is not only an information centre but a two floor museum. 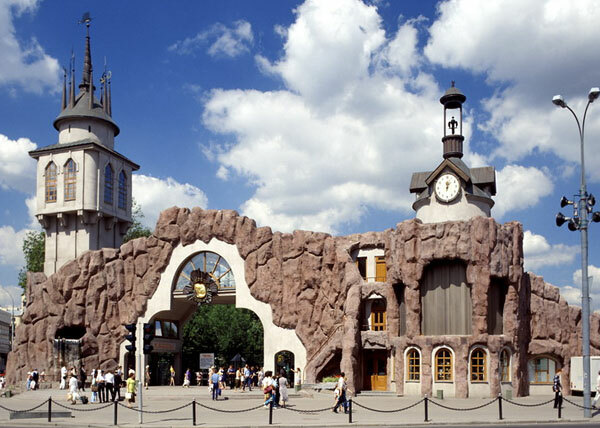 There are two interactive attractions located inside – “Soaring” and “Time Machine”. 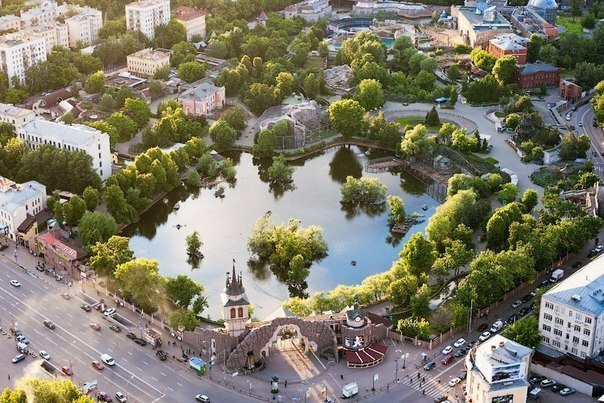 “Soaring” is a virtual air tour over the main attractions of Moscow. It was created by specialists from Canada and Austria. Here you may discover new city sights and see them from a new angle. Entrance ticket prices start at 400 rubles, around 7 dollars. 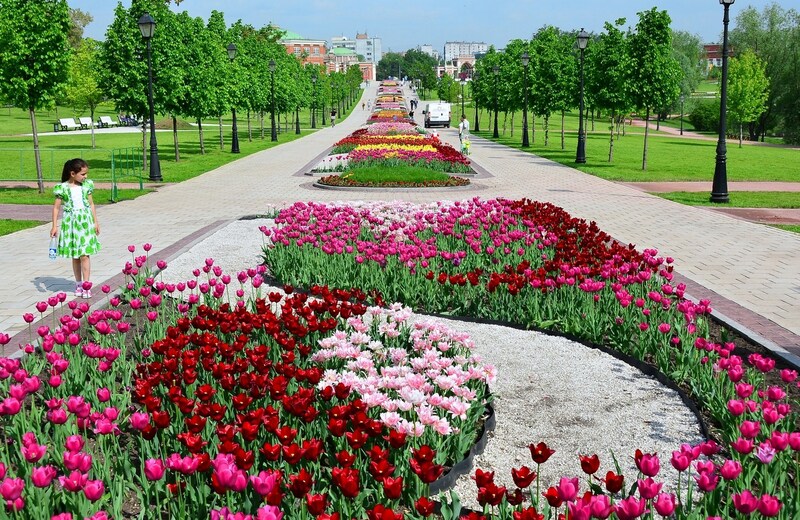 Check our interactive tour of Zaryadye Park! “Time Machine” is a video tour on a 5 -meter-high screen dedicated to the history of Moscow. Production of the show involved 300 actors changing into 500 different authentic costumes. By the way, you don’t have to be seated while watching the show, you can feel free to walk around. Thanks to special generators, you will also experience smells, smoke and wind. A Truly unique experience! A new oceanarium with a total area of 10,000 m2 opened at the Crocus City Mall.The 3-floor centre presents 2,000 different species of fish, 500 species of mammals and 300 types of insects. The first and the second floors are dedicated to sharks, deep sea mollusks, coral reefs and fish from the rivers of Volga, Don and Amazon, along with rare species of aquarium fish. 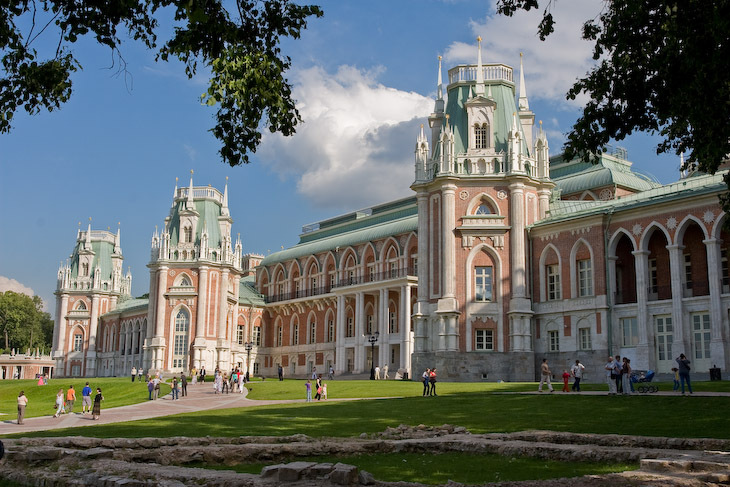 The Tsaritsyno Museum and conservation park in southern Moscow offers something for everyone. Green zone, wooded areas, national museum and greenhouses? Tick. Picturesque palaces and pergolas? Here they are! Their styles are different, but original, and will appeal to architecture buffs with their elements of Old Russian, western European Middle Ages and the Renaissance period. A special musical fountain that is lit up in color, as well as history-oriented exhibition pavilions are other popular attractions. Though it is officially a green conservation park, its main theme is Russian history in architecture, archeology and the arts. There are also those who come here to play badminton in the morning. If you’re looking for something else to fill the time, electrocar tours are available, and classes, exhibitions and concerts are held regularly. Unfortunately this does mean that it is very crowded at times. We advise visiting in the morning, and traveling by metro (the parking area is not big enough and it is a challenge to park near almost any of the big parks in the city). 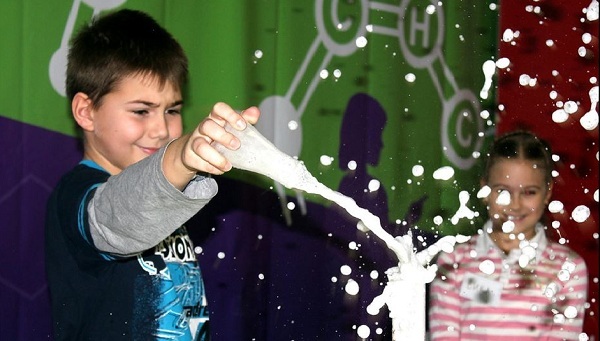 The ‘Experimentarium’ Museum is a 100% hands-on interactive laboratory for kids and adults. The colorful, engaging demonstrations and real-time experiments provide great explanations for nature’s complicated processes and phenomena. The exhibit also explores architecture and building basics and rules. It contains an education center, and provides a stage for science shows and marathons. A free summer ticket (available on particular days), can be a nice bonus. English-speaking guides are available for groups with a minimum total fee of 4,500 rubles (check the link below). “Panda Park” looks like a 100% kids’ venue, but it is actually common to hear about teenagers and adults meeting up with friends, or even celebrating their birthdays there. It is now the highest route park in Moscow. 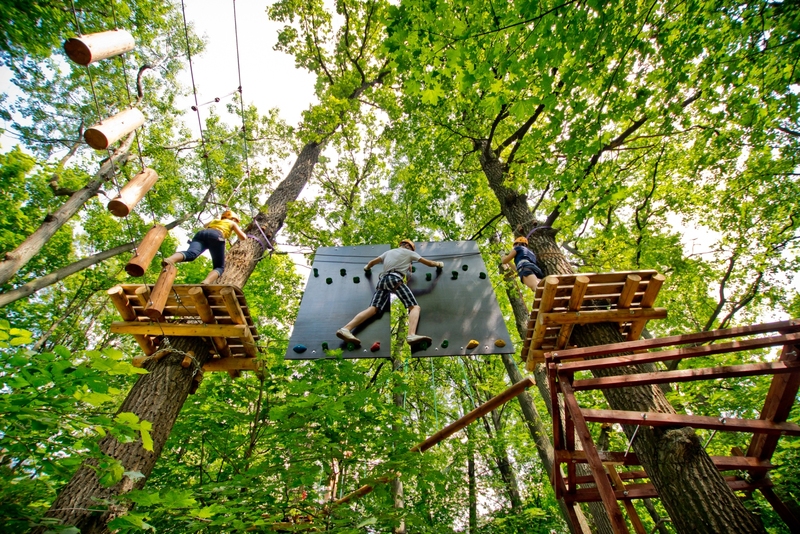 The safest route is for kids; adults can choose routes with 8, 10 or 11 obstacles on the way. Kids’ routes for beginners can be completed in just 15 minutes. With a birthday certificate, all the ‘Panda’ adventures are free of charge. The interactive cosmic play center at the VDNKh complex can get lost among the other mini-museums, but has one significant advantage: it is visually packed with information about the exploration of Mars, and not in a boring or overly scholarly way. Mars comes alive by means of mini-models, pictures and an interactive flying plate attraction. The observation walk takes approximately 40 minutes, or you can skip the walk and head straight for the flying-spinning-trembling plate. Kids love it here, and on weekends its small corridors can be crowded. Please note that a prior reservation is required to gain access to the center. There are English-speaking guides. Operating hours 11 am – 7 pm. The entrance fee is 500 rubles( not including the “Plate” attraction).